In September of last year I came across a family photographer in South Wales via Kerry of Kerry Louise Norris who had family photo shoot done with her. The photographer in question is Donna of Sweet Whimsy Photography. Soon after Rebecca of Mouse Dog Baby blog posted about her family photo shoot with Donna and she was also hosting a competition to win a family photo shoot with Donna. Having seen her photos of both Kerry and Rebecca’s families I entered thinking nothing of it. 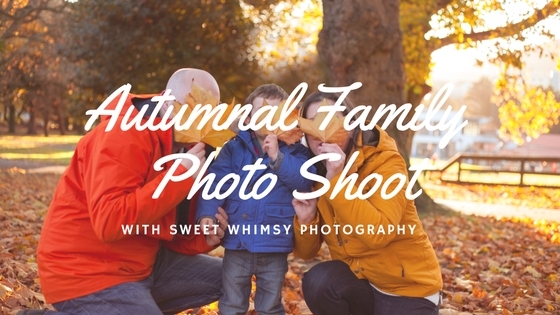 To my surprise I won and I immediately thought of doing an autumnal family photo shoot with Sweet Whimsy Photography. Donna contacted me to say I was the lucky winner and we talked through what I had in mind and dates which may suit us all. I explained to Donna that I would love an autumnal family photo shoot as autumn is one of my favourite times of year. 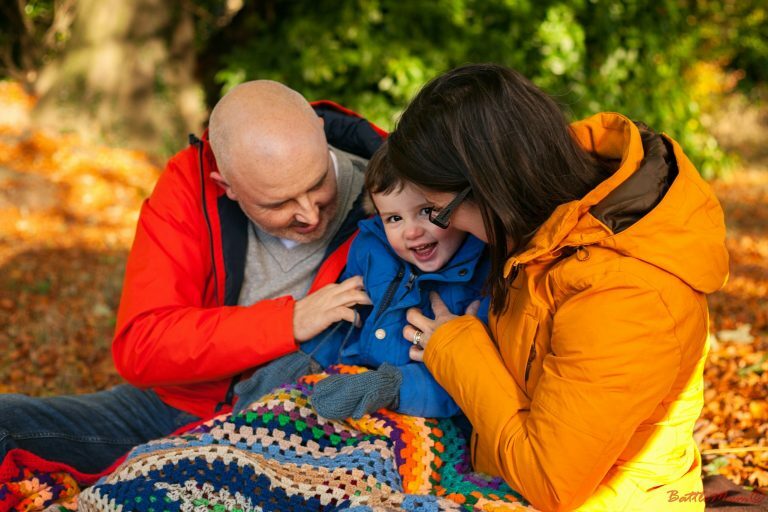 We take an annual trip to Westonbirt Arboretum in autumn each year and I generally do a mini shoot with BattleKid but with Aris, BattleDog #2, in tow it’s too difficult to try set up a family photo so we never have one of all of us in the picture. I’ve always wanted an autumnal family photo shoot and when Donna said it was more than possible given the time of year, I was over the moon. We settled on Saturday the 5th November and I left it to Donna to choose the location as I imagined she would know where was best to visit get the best autumn leaves into our photos. We met in Ynysangharad Park in Pontypridd at 2.30 and Donna directed us to our first location beside the Taff River. BattleKid loves nothing more than throwing stones in rivers and lakes with BattleDad so this was a perfect spot to start. We spent a few minutes there just throwing stones before moving onto a more wooded area for some fun with leaves. 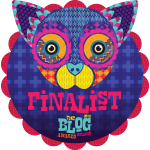 From there we chased BattleKid across the football fields before finishing at another wooded area at the opposite end of the park from where we had started and the blanket of leaves there were just what I had envisaged. Donna had come up trumps for us and it was here that our overall favourite picture was captured. Donna printed it on a canvas for us as part of the picture package we chose and it takes pride of place on our kitchen, the heart of our family home. Our experience with Donna was amazing. She is a very approachable and gentle lady and she put both us the parents and 2 year old BattleKid at ease. For some shots Donna directed us and for others she let us do our own thing which was a great mixture. She also came armed with some blankets to wrap up in and one of our other favourite shots is the three of us tucked up in one with us tickling BattleKid. 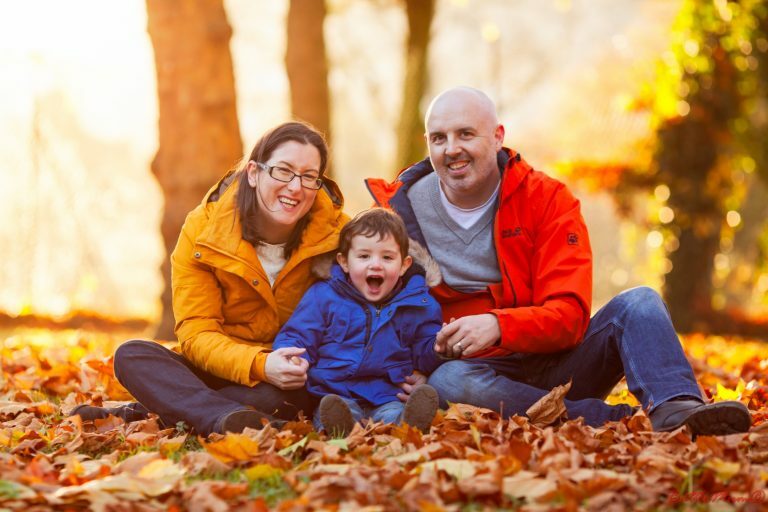 We had lots of fun during our autumnal family photo shoot and Donna captured the most amazing pictures of us as a family. We got ones of all of us together, ones of each parent with BattleKid and some amazing ones of him on his own. And the light towards the end of the shoot was just perfect. She really did us proud. Our allotted time flew by and by the time we departed it certainly didn’t feel like we had just spent nearly two hours in her company. In between shots we chatted with Donna and she is such a friendly and lovely person. After a few weeks Donna sent us the finished results and we were blown away with them, so much so we paid for all our pictures as we couldn’t pick our favourites. Donna managed to capture a fantastic set of family photos for us that we will proudly display in our home and cherish for years to come. We were so impressed by Donna and the photos she captured of us that we are about to have a Spring time family photo shoot with her, and this time Aris is coming with us. I cannot wait to see the pictures she manages to get this time around. 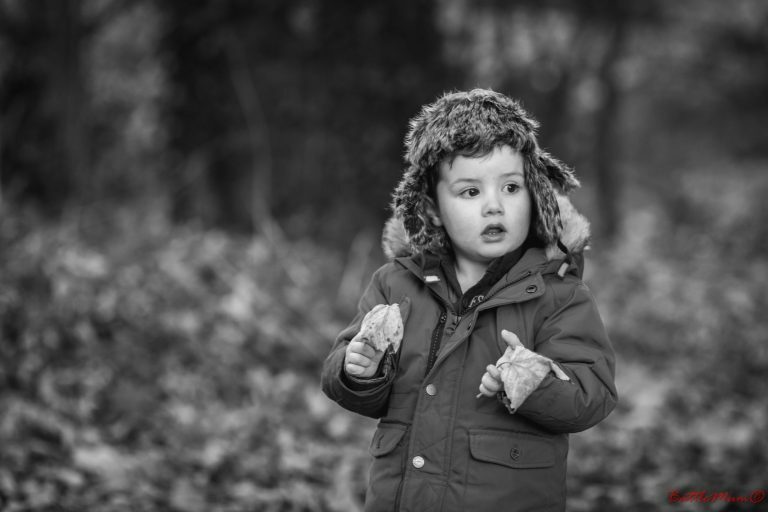 If you are looking for a family photographer for an outdoor shoot in South Wales I cannot recommend Donna enough. You won’t be disappointed. 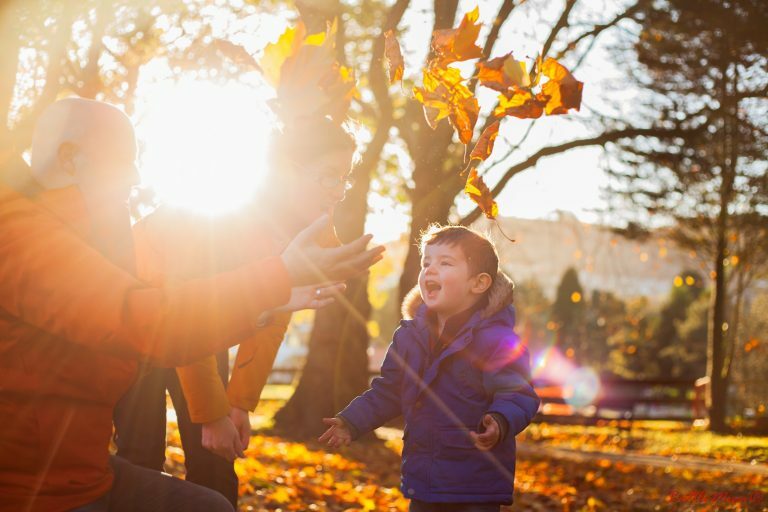 Our autumnal family photo shoot with her was amazing and the results were out of this world. *I was not asked to write this review. 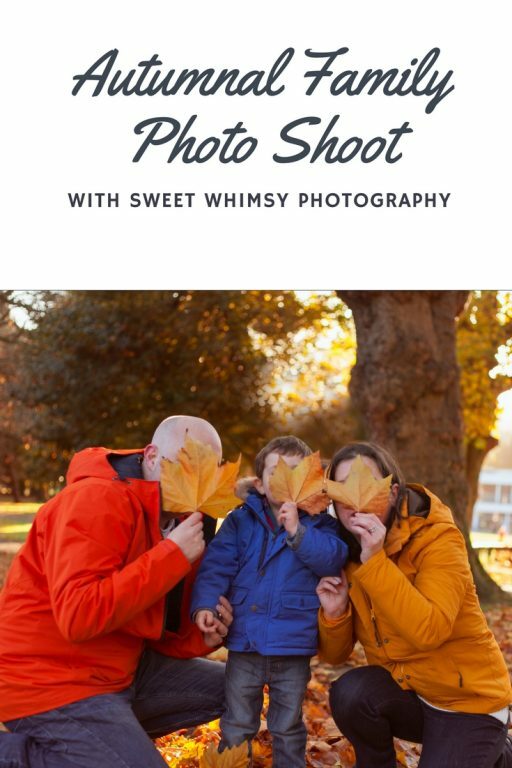 I thought I’d share our thoughts and experience of a family photo shoot with Donna of Sweet Whimsy Photography. I love the shot of you peeking from behind the leaves, it shows your fun side and your family personality. Did you deliberately have orange coats to match the autumnal theme? Haha, yes and no Laura. I deliberately chose colourful coats for winter and made sure ours complimented BattleKid’s. But it was a fluke that they coordinated with the leaves. What a talented photographer. The photos are amazing. I’m thrilled we did this one and so much so we’ve got our next one with Donna tomorrow week! Donna certainly has some beaituful photography skills and congratulations on winning. You and your family have some wonderful pictures to cherish forever.